The CFDA is a not-for-profit trade association that leads industry-wide initiatives and whose membership consists of more than 370 of America’s foremost womenswear, menswear, jewelry, and accessory designers. The organization offers programs which support professional development and scholarships, and hosts the annual CFDA Fashion Awards, which recognize the top creative talent in the industry. The 2011 edition honored one Designer of the Year in each category: womenswear, menswear and accessory. 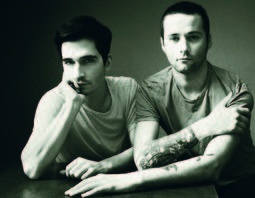 Jack McCollough and Lazaro Hernandez (picture) of Proenza Schouler, Michael Bastian and Alexander Wang were respectively awarded. The Lifetime Achievement Award,which is the most prestigious CFDA prize, was given to Marc Jacobs as a tribute to his career. Swarovski, as the event's main sponsor for the tenth year in a row, also awarded three prizes: the Swarovski Award For Womenswear went to Prabal Gurung, the Swarovski Award For Menswear to Robert Geller and the Swarovski Award For Accessory Design was received by Eddie Borgo. Three special prizes were awarded. One to Phoebe Philo, designer of Céline, another to fashion journalist Hilary Alexander (for the Daily Telegraph and in the entire wolrd via Internet), and the last one went to Lady Gaga as the icon of the year.